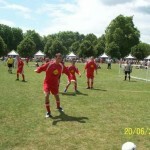 The Royal Warrant Holders Association Five-A-Side Football Competition was held at The Royal Hospital Chelsea, Burton Court on Saturday 20th June 2009. Our Team displayed their skills and fitness (top row from left to right: Chris Rankin, Richard Smith, Andy Jackson, Scott Reynolds (Bird). 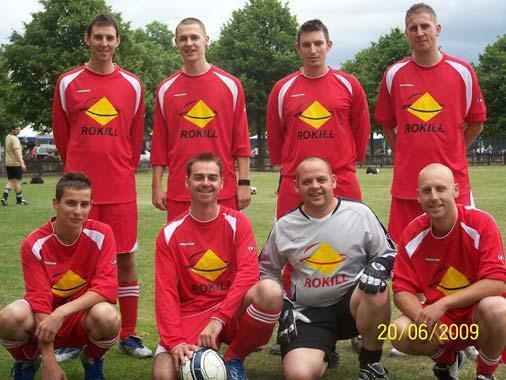 Bottom Row left to right: Dave Bolderstone, Toby Legg (Captain), Paul Downham (Bird), Dave Collins (Bird). Our intrepid athletes were slightly unfortunate in being drawn to play the winners of last year’s competition, DHL but they put up a brave fight and lost 3 – 0. 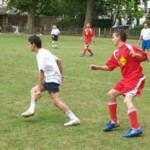 They won the next 1 – 0 and drew the next 0 – 0. Unfortunately Scott sustained an injury and played no further part on the pitch but he did manage to start on the beers before the other guys! 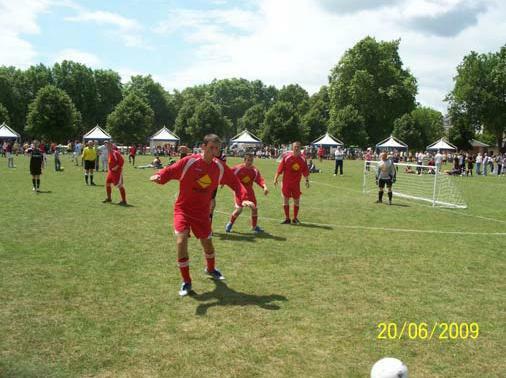 They were then put forward for the HRH Prince Henry of Wales Shield where they improved as a team (they had only practiced once) with better communication and despite the warmth sapping their energies, managed to get to the semi finals before losing on penalties. 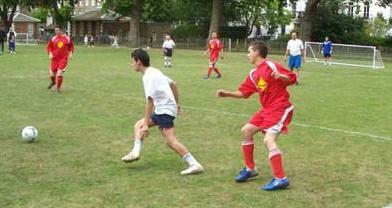 Everyone played their hearts out and Dave Bolderstone was running around like a whippet for most of the day!